How accurate is Mr. Robot? The show’s data, password, and smart home dangers. Could a skilled hacker really topple the capitalist system? Throughout Season 2, we’ll examine what the show gets right about modern life. Rami Malek as Elliot in Mr. Robot. Slate and Future Tense are discussing Mr. Robot and the technological world it portrays throughout the show’s second season. You can follow this conversation on Future Tense, and Slate Plus members can also listen to Hacking Mr. Robot, a members-only podcast series featuring Lily Hay Newman and Fred Kaplan. Mr. Robot, which returns Wednesday night for a second season on the USA Network, is a remarkable TV show: funny, edgy, suspenseful, subversive, and a piercing probe of the modern social fabric. 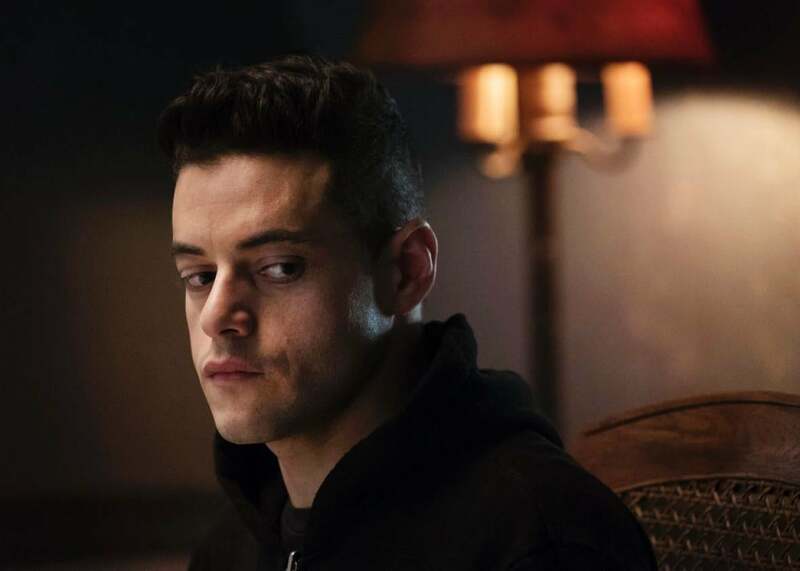 In short, it’s about a world controlled by computers and the hackers—especially our anti-hero and narrator, a lonely hacker named Elliot Alderson (brilliantly played by Rami Malek), who finds himself the kingpin of a secret society of hackers—plotting to bring down that world, the mainsprings of which only they understand. At Season 1’s fade-out, the hackers, who call themselves Fsociety, launch their massive cyberattack on E Corp., the evil megabank that seems to run the global economy (more on this later), wiping out all its data, erasing the debt of hundreds of millions of people, and thus fomenting revolution. As the new season opens, the world is in chaos. In one scene, E Corp.’s general counsel walks into her smart home and, suddenly, all the Internet of Things runs amuck: the shower turns scalding hot, the stereo turns blaring loud, lights flash off and on, the burglar alarm’s pass code doesn’t work. Fsociety has hacked into her home’s main computer, and she doesn’t know what to do. “It’s all inside the walls!” she screams into the phone, when a tech-support staffer advises her to check the wiring. That’s the way her smart home was packaged. What a metaphor for modern life—and only a slight extension of its reality. Nearly all the pieces of our critical infrastructure—banking, transportation, energy, waterworks, government, the military, and of course information technology—are wired into computer networks. With the Internet of Things, so, increasingly, are our appliances and cars. If these systems break down, whether due to a technical flaw or a hacker’s keystrokes, most of us don’t—and won’t—know what to do. In a DARPA-financed experiment last year, a pair of computer specialists, one of whom used to work at the National Security Agency and is now the security chief of Uber’s driverless-car program, hacked into a Jeep Cherokee and commandeered its steering wheel, accelerator, brakes, GPS receiver, windshield wipers—everything. In other words, there’s more than a patina of authenticity to Mr. Robot. Most shows that deal with technology lose their footing when they try to go deep or get detailed. The viewers who know the field roll their eyes in derision; those who don’t still sense that something’s off. The creators of Mr. Robot—showrunner Sam Esmail and his crew of consultants—get these things, small and large, right. When the characters type commands and codes on their laptops, what we see on their monitors is the real deal: no post-production green-screen gibberish here. In the early part of Season 1, before Elliot joins (or realizes that his schizoid self is leading) the revolution, he hacks his few friends, his boss, and his shrink, as well as a few miscreants (a child pornographer, a drug dealer, and his shrink’s philandering boyfriend) whom he blackmails or turns in to the authorities. The techniques he uses to crack their passwords or otherwise gain access to their files are real, time-tested tools. It’s so easy for Elliot (and for the many hackers in real life) and so shocking to his victims when they realize how wide-open they’ve left themselves. These scenes capture a new power equation in the internet era—the control, by those who have mastered the technology, over the rest of us who blithely plaster everything about ourselves online. In one scene, Elliot phones one of his prey, pretending to be a bank officer (he’s already found out where the target banks), and asks, as part of a “security review,” for his address, favorite sports team, and pet’s name. From that information, Elliot pieces together the guy’s password. It’s often as simple as that. When I was researching my book, Dark Territory: The Secret History of Cyber War, Matt Devost, president and CEO of the cybersecurity firm FusionX, told me about his days running the “red team” in war games that tested the vulnerability of NATO communications systems. In one game, Devost was having a hard time cracking the commanding general’s password. So he looked up his biographical sketch on a military website, tried out some of the personal details it cited, and finally hit gold by combining “Rutgers,” where the general’s son was attending college, with a two-digit number, which a commercially available random-numbers generator guessed in less than a second. But what about the show’s larger premise: Could a skilled hacker penetrate a megacorporation’s computer network; erase all its data; and, as a result, topple the capitalist system—or at least wipe out the debt of the masses? This is where the show goes too far and, in another sense, not far enough. One other feature of the American economy: compared with other industrialized nations, it’s decentralized. The cyber-shutdown of a very large bank would send devastating shockwaves across the entire financial system (think Lehman Brothers in 2008), but it wouldn’t mean the shutdown of all banks or all bank transactions. Even if hackers jammed or erased Bank of America’s data (and its backup files), they wouldn’t have touched the data at J.P. Morgan, Citigroup, Wells Fargo, or the others. The liberation of every indebted citizen isn’t so plausible. Finally, if there really was a firm as monolithic as E Corp., and if hackers really did freeze its data, the chaos would be a lot wilder. We do catch a glimpse of the disorder in one scene, where a woman, after waiting three days for an appointment, tells a banker that she’s paid off her mortgage and presents the papers to prove it; but the banker can’t get into the computer and doesn’t trust the paperwork because, so she says, a lot of counterfeit documents are out there. But in other scenes, we see normal street traffic, open bodegas, routine commerce—when I suspect that, in fact, there’d be rioting everywhere. Maybe the larger breakdown will erupt in future episodes. But the basic syllogism of contemporary life, Mr. Robot gets precisely right: Almost everything is hooked up to the internet; almost everything on the internet can be hacked and thus manipulated or destroyed; therefore, almost everything can be hacked and manipulated or destroyed. Should this dynamic take off, should the potential threats that we read about erupt into actual attacks and breakdowns, then up will be down, down up, and the line between madness and order—the line that Elliot walks more and more precariously as the show progresses—could blur into a haze of indistinction.